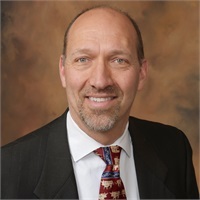 Chuck began advising clients in 1984, and became a Certified Financial Planner Professional in 1989. Chuck joined Freedom Wealth Alliance in 2016 as a Financial Advisor to offer his clients a team-based approach for their financial endeavors. Chuck focuses on retirement planning, wealth accumulation, risk management strategies, estate planning, long-term care management and comprehensive fee-based financial planning. Chuck graduated from the University of Wisconsin-Lacrosse and is a lifelong resident of Waukesha County. He lives in Oconomowoc with his wife, Donna, of 29 years and their children Oliver and Elizabeth. He is an accomplished trumpet player who performs regularly with several musical groups. Chuck is also a "grand adventure" enthusiast, taking on challenges such as hikes across the Grand Canyon, remote wilderness canoe trips, mini-triathlons and tough mudder obstacle runs.